Offering superior and spacious accommodation - a beautifully presented four double bedroom, three bathroom detached family house. Fully UPVC double glazed and gas central heating system. EPC Rating- C.
Accommodation includes entrance hall, guest WC, study/music room, superb open plan living room and deluxe fitted kitchen, utility room, master bedroom with ensuite shower room, fine through lounge with south-facing roof terrace, second bedroom with ensuite, house bathroom, lawned and stocked south facing gardens, secure carport and detached garage. The property, built in 2011, is well located in a pleasant setting around a central green and offers excellent access to highly regarded local schools and amenities. 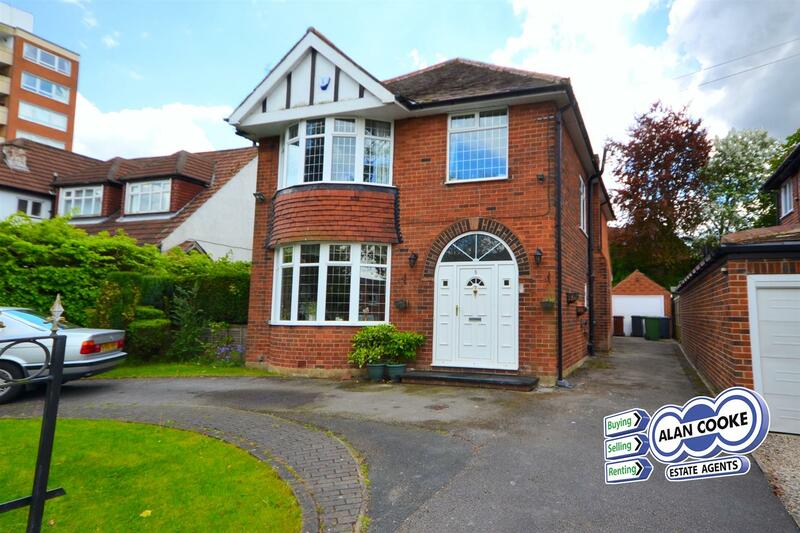 An extended four bedroom detached house in large garden situated in this very convenient location, gas central heating system, mostly double glazed, grand hall, cloakroom with WC, very fine lounge, family room, superb fitted kitchen, dining room, built in wardrobes, bathroom. Semi-circular in-out drive, matching garage. EPC rating - D.
The property is superbly located in the heart of Alwoodley, within waking distance to local shops, bars and restaurants and on bus routes to Leeds City Centre and North Yorkshire. 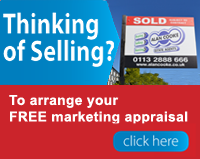 An excellent range of schools are nearby including the Grammar School and Leeds. Accommodation includes reception porch, grand entrance hall, fine lounge, dining room, guest WC, fitted breakfast kitchen. First floor landing includes four bedrooms, separate house bathroom and shower wet room, two further versatile rooms to the second floor. Lawned and stocked gardens with driveway for off street parking for several vehicles. 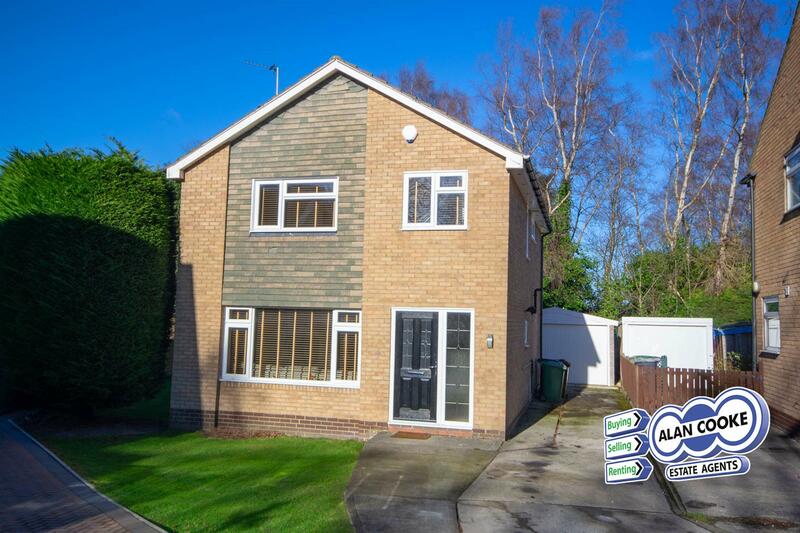 The property is well located in a quiet cul-de-sac just off the A61 Scott Hall Road, offering superb travel links to Leeds Centre and to the North. Well positioned in the family-friendly area of Moortown, offering close proximity to local schools, shops and a wide range of supermarkets. 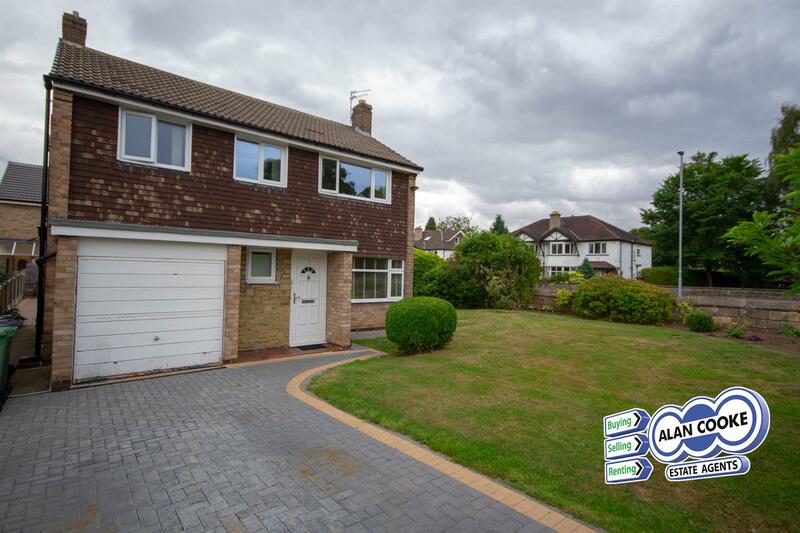 NO CHAIN - Recently improved four bedroom, two bathroom detached family house available in this popular and convenient location. Fully UPVC double glazed and gas central heating system. EPC Rating- D.
Accommodation includes entrance hall, ground floor WC, stunning open plan dining kitchen with modern fitted appliances, lounge, first floor landing, master bedroom with en-suite shower room, deluxe house bathroom suite. Generous sized enclosed lawned and stocked gardens, driveway to detached garage. 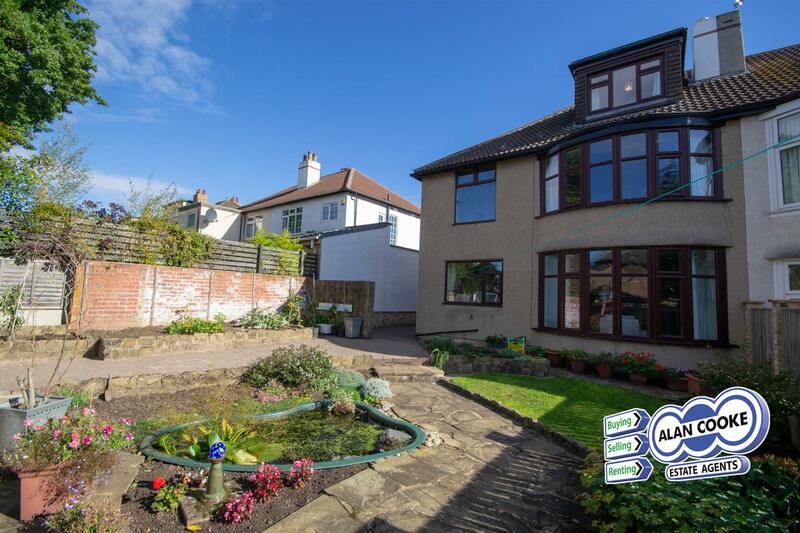 The property is located off Nursery Lane, offering convenient access to highly regarded primary and secondary schools, and within an easy walk to The Grammar School at Leeds. Offering superb family accommodation with enviable private grassland front views. 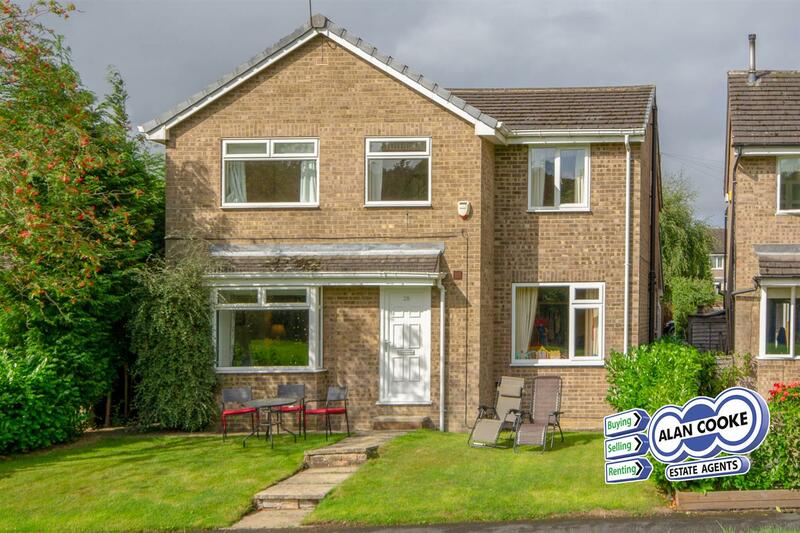 A well presented, modern 4/5 bedroom detached property located in Adel. Fully UPVC double glazed and gas combi central heating system. EPC rating - D.
Accommodation includes reception vestibule, guest WC, open lounge/dining room, modern fitted kitchen with wood flooring, breakfast room, utility room, integral store room, rear porch, first floor landing, master bedroom suite with private lawned views and ensuite shower room, three further bedrooms plus smaller office which may be used as an additional bedroom, white bathroom suite with bathtub and shower. 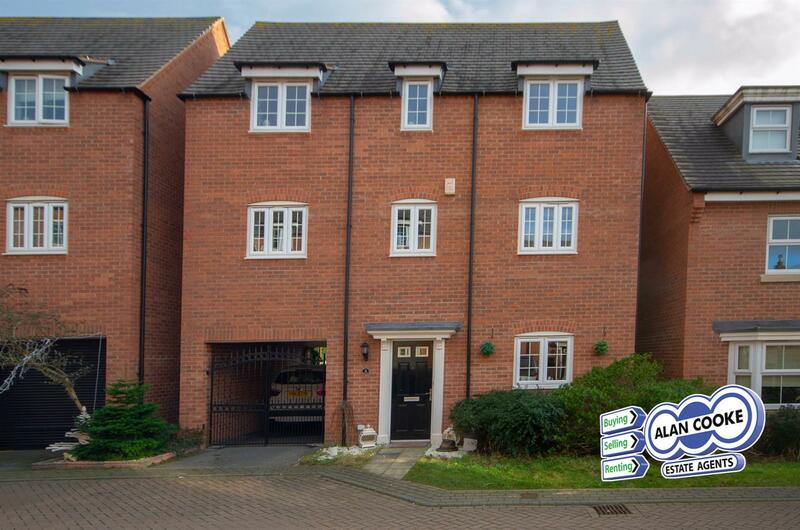 Accommodation includes entrance hall, ground floor WC, spacious living/dining room, modern fitted kitchen with stylish units, landing, double bedrooms with built in wardrobes, superb deluxe bath and shower room, driveway to attached garage.